Loyalty rewards are exclusive to the Bookizmo platform, earn rewards for your bookings! To access your loyalty points simply log in to your account and select the Reservations tab at the top of the screen. Then select the Loyalty tab. Once you have made a booking, a loyalty point is held in place until you have passed your booking date. Once passed you will be able to “Add” a loyalty point to your courses loyalty card. After completing a full loyalty card, your next booking will reward you for your loyalty. Rewards can be percentages off, FREE rounds, prizes awarded at the courses and much more! 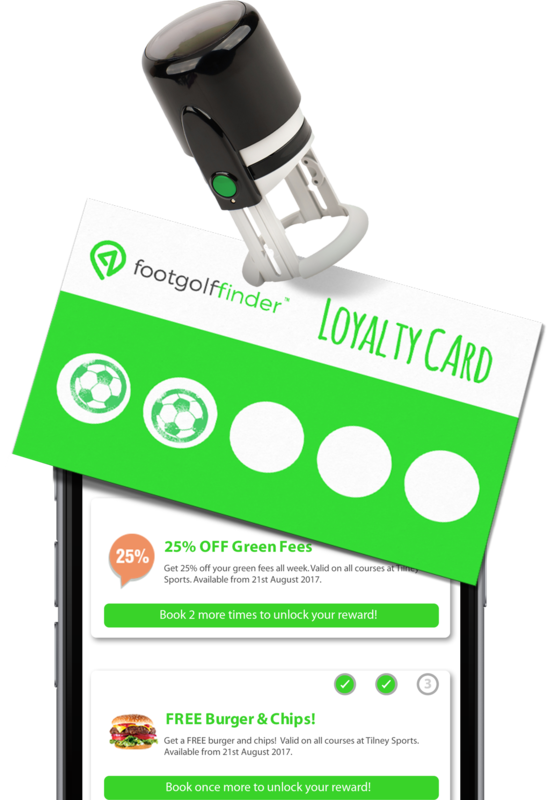 If you’ve booked FootGolf, download the FREE FootGolf Finder® app to view your loyalty, exclusive offers and more.